Eye, Suffolk. Terminus of a three mile line from Mellis on the Ipswich to Norwich main line. 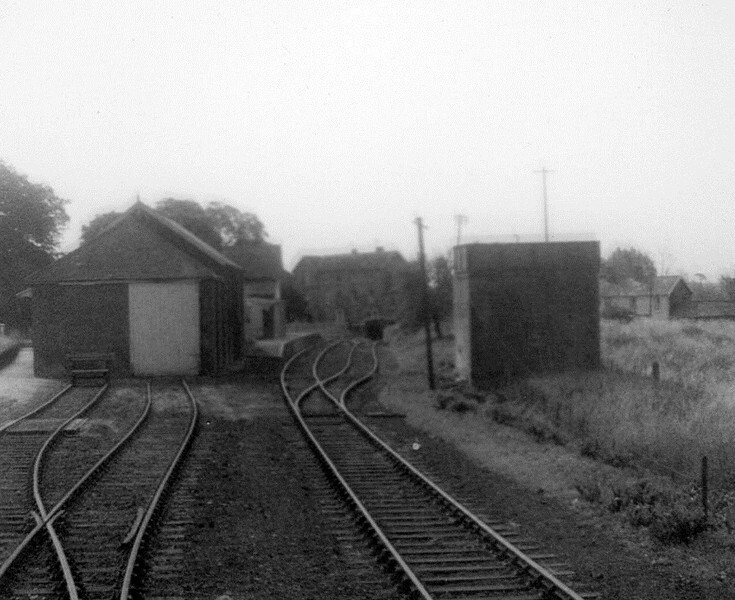 The image shows the approach to the station c1950/60 possibly from the brake van of a freight working.To the right is the engine water tank. Thanks to Darren Kitson for identifying the location. Photo Brian Leighton.